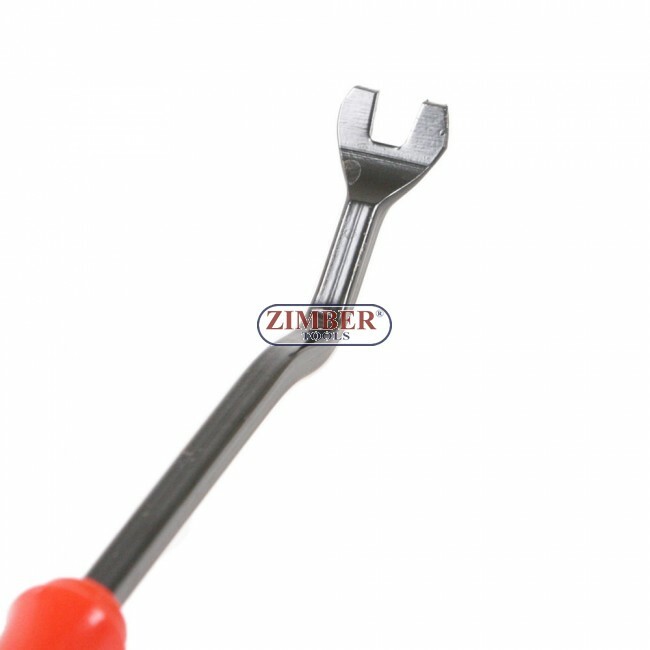 Scula pentru demontat cleme din plastic 240-mm, ZR-36DPR02 - ZIMBER TOOLS. Hardened and tempered carbon steel shaft with clawed head. 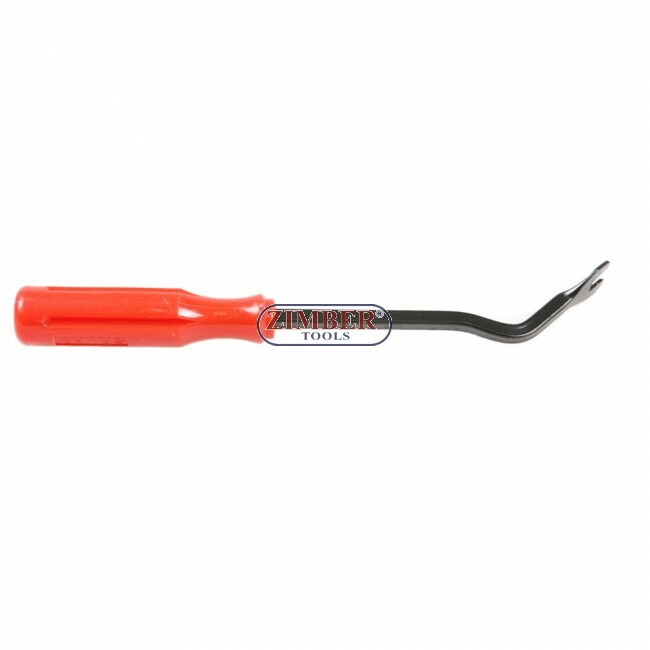 Simplifies trim and trim stud removal. Contoured, textured comfort grip handle. Hardened and tempered carbon steel shaft with clawed head. 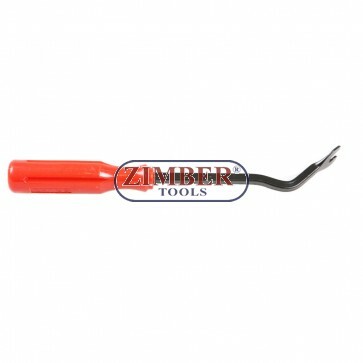 Simplifies trim and trim stud removal.